Propane is an efficient home heating fuel. It is a clean burning natural resource that is an excellent source of energy. When used properly, it is a safe source of energy for home heating and other household uses. They key is to follow safety tips and regulations and to work with a reliable Reidsville propane supplier like Carolina Fuels. Know the smell. Make sure you know what propane smells like so that you can detect a leak if you ever have one. Your propane supplier can help you familiarize yourself with the smell when you get your tank refilled. Do not move your propane tank. You should never attempt to move your propane tank yourself. Moving your tank can cause leaks or other damage to tank or gas lines. Contact your propane supplier for assistance. Keep your furnace tuned up. Regular maintenance for your furnace is important for safe operation. A furnace tune up typically includes a thorough cleaning and inspection to make sure every part is in good working order. Any necessary repairs can be done at the same time to prevent problems and keep your furnace running efficiently. Schedule a yearly tune up with your Reidsville propane supplier. Avoid running out of propane. Have your tank refilled before it gets empty. This prevents leaks that can occur in the piping due to a lack of pressure. 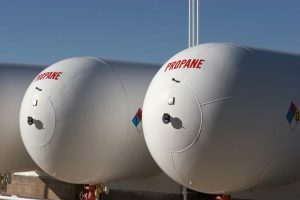 Most propane suppliers can put you on a regular delivery schedule to make sure you never run out. Have your furnace tuned up and your tank refilled yearly with just one visit from your supplier. Carolina Fuels offers complete HVAC (heating, ventilation, and air conditioning) services along with fuel delivery. Service agreements combine heating and air conditioning maintenance and fuel delivery in one convenient package so that you never have to worry about home comfort. Call (336) 623-9741 to schedule service today.